Hey guys! I live in Louisville, Kentucky and if you didn’t know this is the worst part of the country to live in if you have any types of allergies. One night you go to sleep feeling great and then you wake up feeling like someone shoved two cotton balls up your nose and super glued them there. Then you live like that for two-thirds of the year. The one thing that has been a God sent for me is my nedi pot. At first the idea grossed me out. I even ignored the first few times it was suggested to me and someone even got one for me. 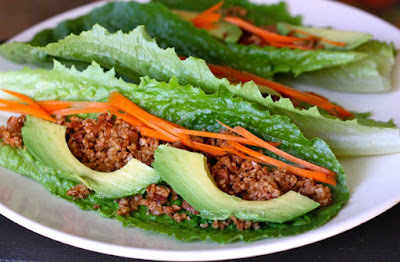 Even then I refused to try it because the idea of it still grossed me out. One day I was laid up in my bed, nothing I tried helped. So desperate times called for desperate measures. I used the dreaded nedi pot. That was all she wrote, I have been hooked ever since. Any time I feel any sinus pressure, I use my nedi pot and feel a hundred time better. The nedi pot started off as ancient yoga tradition from India. The word “nedi” stands for nasal cleansing and comes from the ancient Indian language, Sanskrit. It was believed that clear breathing lead to clearer thinking so by clearing the nasal passage this would be achieved. Clearer thinking would lead to clearer meditation they also believed that clearing the nose can help overcome addictions and mood swings. The practice of using a nedi pot did not gain popularity in the United States until 2007 when Dr. Oz talked about it on the Oprah Winfrey show. Step 5: Place the spot on your upper nostril and pour slowly. It will start to come out of your other nostril. It is recommended that you do this no more than once a day. I do it as needed it. So, this means that I do it when I am sick or feel pressure in my sense passage. Pretty much any time I have build up in my nasal passage. Most importantly, you want to make sure that you are cleaning out our pot after every use. You can do this by running hot water through it and letting it air dry. Some of the pots can be boiled, some can not. Your pot should come with care instructions, be sure to read those thoroughly and follow them. After all the worse thing than having pressure and build up in your nasal cavity is a bacterial infection in your passage. 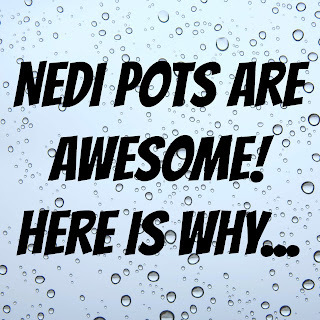 Do you use a nedi pot? What are your experiences with it? Leave it in the comments!